Across the country, direct care workers provide most of the paid, hands-on care for millions of older adults and people with disabilities. These workers are one of the fastest-growing occupations in the country. They form a critical segment of the long-term care sector, which must expand dramatically to support a rapidly growing population of older adults. Unfortunately, this necessary expansion is jeopardized by low wages, thin benefits, and limited career advancement opportunities, which together contribute to high turnover rates and a growing workforce shortage of paid caregivers. Our families increasingly rely on direct care workers for support, but the supply of workers simply isn’t meeting demand. PHI exists to address these concerns—our services, research, and advocacy tackle the many challenges facing workers and consumers alike. Between 2012 and 2018, we produced landscape studies, fact sheets, and issue briefs on cities and states around the country. Contact us to learn how to produce a research report in your area. Improving compensation would help workers make ends meet, promote retention and improve care for consumers. Long-term services and supports are a lifeline for millions, but not everyone benefits equally. The needs, values, and preferences of each person are key to providing effective care. Home care workers can work closely with family caregivers to help provide quality care. 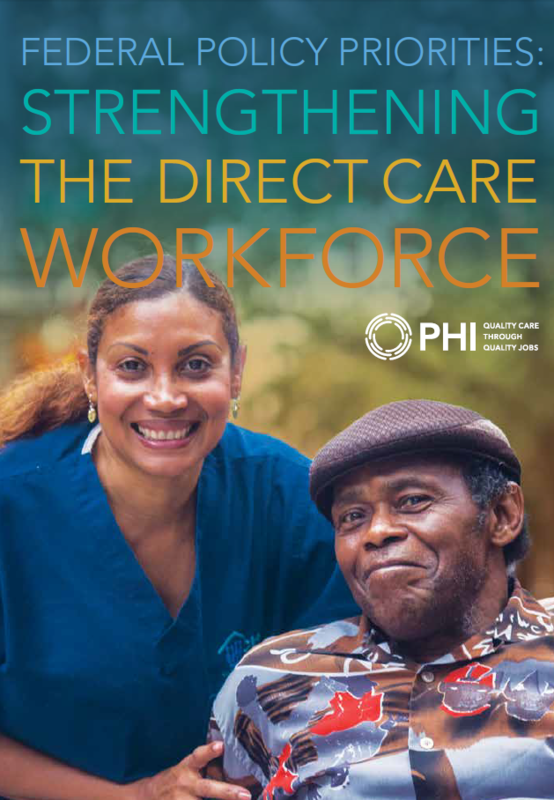 Take a look at our latest reports, issue briefs, and multimedia resources on the direct care workforce and long-term care. Our New York City home care system supports—and learns from—thousands of workers and consumers every year.